If you are living and working in big city, I bet you never spend time and know your city deeply. After all, the congested traffic and crowded passersby really make you crazy. After work or on weekends, you may prefer to stay at home. As a result, you know too little about your city. In fact, what stops you to have a sightseeing in your city is that you are short of a suitable travel transport. Here, Fosjoas intelligent self-balancing electric unicycle may draw you from house and freely weave in your city. 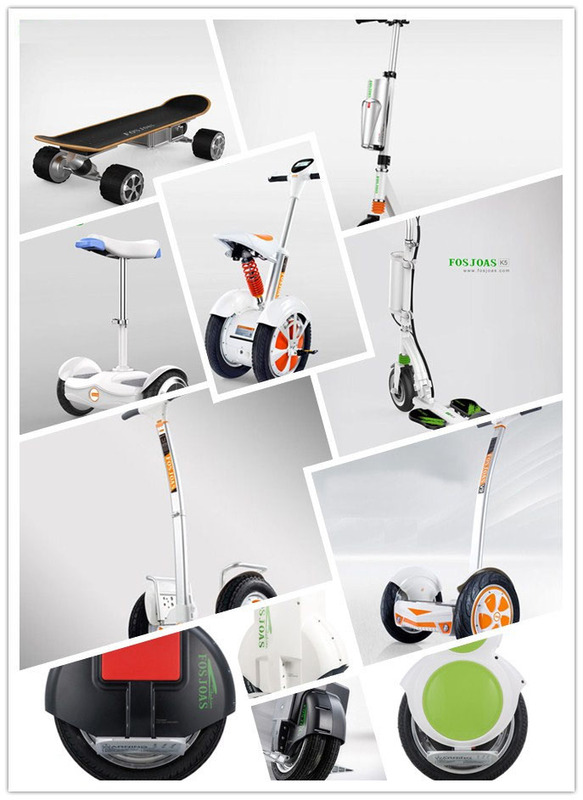 In order to cover different travel needs and satisfy different people, Fosjoas offers many kinds of electric scooters, such as V6 electric unicycle, V2 twin-wheeled scooter, K1 motorized skateboard, K5 standing up scooter, U1 mini electric scooter or U3 SUV scooter and so on. Besides K2 and K5, all of Fosjoas electric scooters can keep balanced automatically. As long as you slightly lean forward, backward, turn left or right, your Fosjoas electric scooter will speed up, slow down and change direction. Rich scooter types and easy riding pave the way for people from all age groups, genders and figures to find a suitable Fosjoas electric scooter. If you choose a Fosjoas electric scooter to start your journey in city, you will never be stuck in congested traffic anymore. On the contrary, you can freely weave in high streets and back lanes. You will find that you really miss too much about your city. Maybe, it is a centuries-old delicious food shop, an old but chic building or a unique library. If the weather is fine, you can stop at a coffee house, put Fosjoas self-balancing electric scooter under desk and read a book of your loved writer. All in all, you will love your city.